The BCRU quarter-final will take place at Windsor this Saturday. The visiting Vikes will be led by a core of graduating players, featuring the recent President’s Award winner, Gradyn Bowd. Grady received this award based on his academic and athletic achievements. Bowd has been looked at the NSMT level and he is a crafty #10 whose place-kicking skills are relied on to supplement the Vikes scoring machine. (A very capable, Brennig Prevost is always in the wings!). Other seniors are; Crosby Stewart (#9), a very alert and speedy chap in the mold of Phil Mack, Ollie Nott an extremely hard-working and intelligent loosie who loves to carry and has plenty of ability to make a break. Rounding out the grads is Kapi Vataiki, a young man who hung his hat with CW last season whilst taking a year away from his studies. Of course, this is not the only fire power the Vikes have. These names are supported with a healthy cadre of CW age grade grads. The two teams have met twice this season, CW getting an early season jump, 36 – 14 with a squad bolstered by NSMT’s Sevens players. 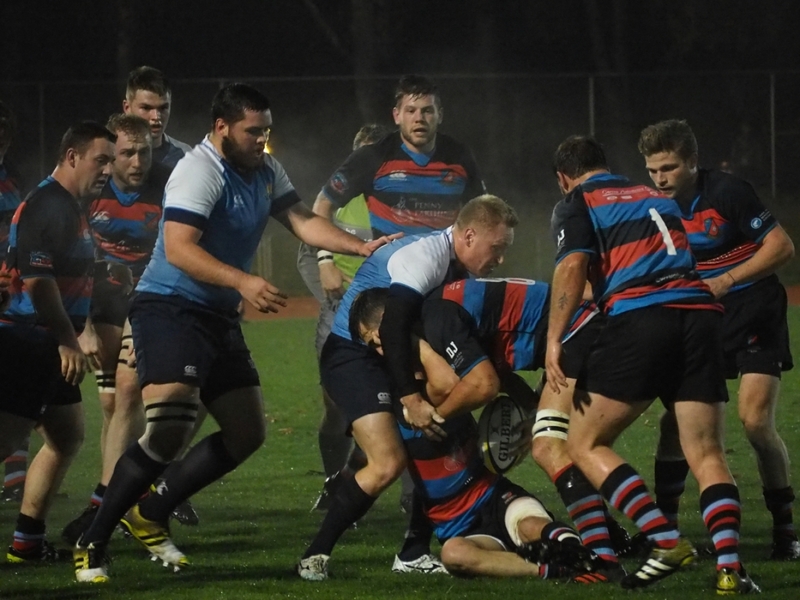 The return match hosted at Centennial, under lights was an intense affair, CW scraping out a 12 – 7 win. Both teams are fast and open with their style, this writer opining that The Tricolour matches up well with the Vikes. More to come. Stay Tuned!